This is the shocking moment a motorcyclist slowed down and smacked two cops on their helmets before speeding off. 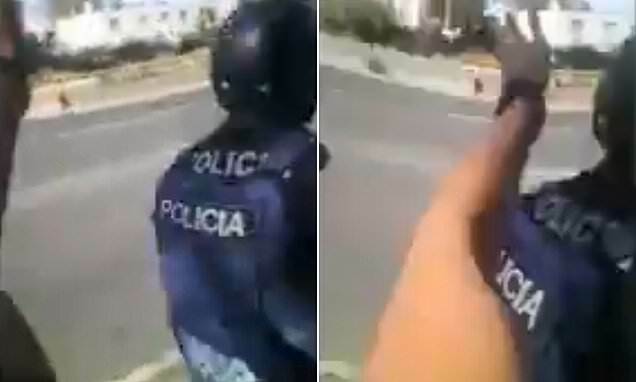 The biker reduces his speed slightly as he approaches the police motor, then leans over and slaps the pair on the head in the Mexico City neighborhood of Venustiano Carranza. He manages to speed off with his female accomplice beside him before the police officers can react. A woman riding on the back seat of the motorcycle captured the dangerous prank on her cell phone video before the footage went viral on social media.